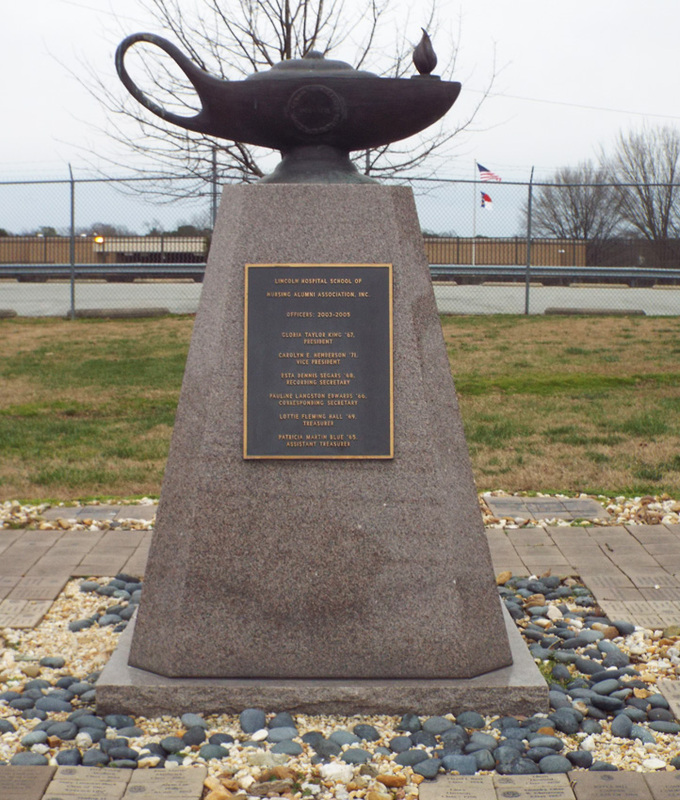 The memorial consists of a pole mounted decorative steel plaque describing the history of Lincoln Hospital and a large metal oil lamp on a squat granite block with sloped side dedicated to the Lincoln Hospital School of Nursing. Four sets of stone tiles have been laid into ground around the lamp memorial. Each set depicts a building associated with the history of the hospital or nursing school: Lincoln Hospital 1901-1925, Lincoln Hospital 1925-1976, Angier B. Duke Nurses Home 1925-1975 and the Stokes Graduate Nurses Residence. 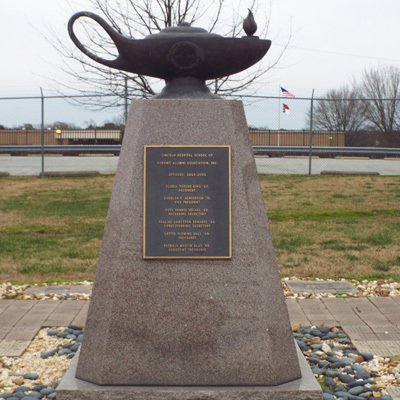 The plaque and lamp stand near each other in a somewhat hourglass shaped landscape area formed by white gravel and interspersed with larger gray stones. Memorial pavers have been placed in the immediate area around each of the markers. Lincoln Hospital was the fourth hospital in North Carolina for blacks and the first without a religious affiliation. Many of the doctors came from Shaw University which was the first four-year medical school for blacks in the United States. Lincoln Hospital merged with Watts Hospital in 1976 and moved into what is now Durham Regional Hospital. The oil lamp is an international symbol of nursing. It symbolizes a lit lamp used by of Florence Nightingale while caring for injured soldiers during the Crimean war. The memorial is located on the 1300 block of Fayetteville Street in Durham, NC. The memorial area is in front of the Lincoln Community Health Center at 1301 Fayetteville Street. The memorial stands on a wide grassy area with scattered trees. The lot is outlined with a boxwood hedge. The lot backs up to the parking lot for the Lincoln Community Health Center.